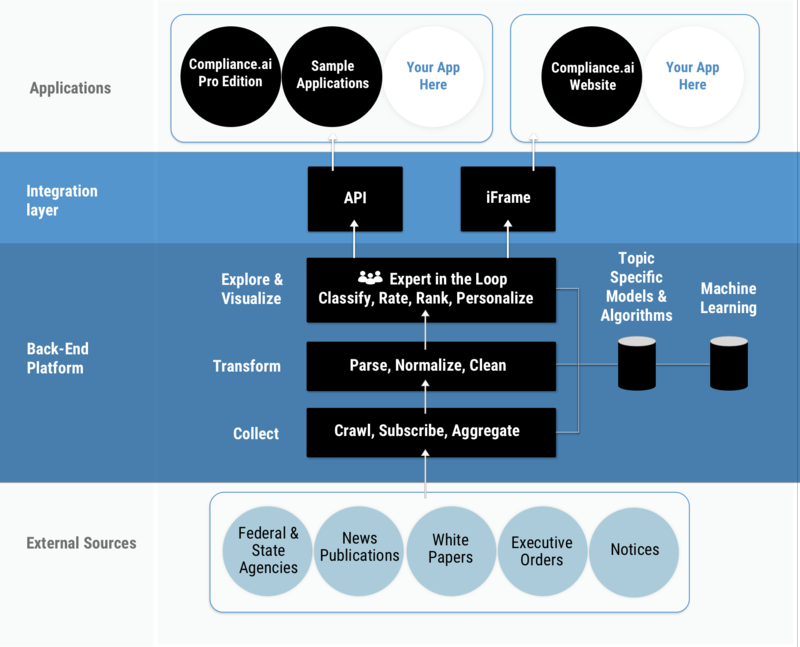 Compliance.ai aggregates content from federal and state regulatory agencies, whitepapers from thought leaders, and news publications, in order to collect all relevant financial regulatory documents. All the data is normalized, ranked, classified and rated into topic specific categories. Developers can access this content via our Developer Program.